The Sacrament of Baptism “is the basis of the whole Christian life” and through it “we are freed from sin and reborn as sons of God; we become members of Christ, are incorporated into the Church and made sharers in her mission.” This is why the Catechism of the Catholic Church defines Christians as “all those who have been anointed through the gift of the Holy Spirit in Baptism...” One simply cannot be a Christian without being baptized into the death and resurrection of Christ Jesus (cf. Romans 6:3-4). The Lord says through his prophet Isaiah today that he will “bring to my holy mountain and make joyful in my house of prayer” those who “join themselves to the Lord, ministering to him, loving the name of the Lord, and becoming his servants” (Isaiah 56:7, 6). Is this not what happens in Baptism? 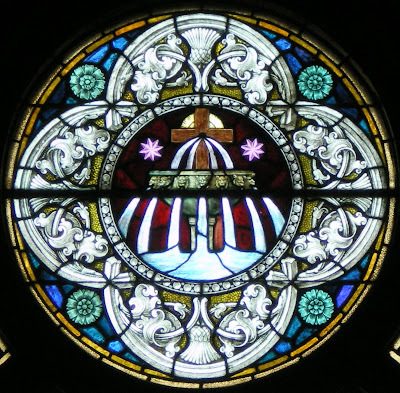 Those who seek this grace are brought into the household of the Father and share in the priestly, prophetic, and royal mission of Christ Jesus. In these waters we are joined to the Lord in love and our lives become his, for we have been purchased at a very high price (cf. I Corinthians 6:20). Yet to put too much emphasis on the decision of the one who is to be or who has been baptized brings a certain danger. Becoming Christian is not something that follows a decision of mine: “herewith I make myself a Christian”. Of course, my decision is also necessary, but first of all it is an action of God with me: it is not I who make myself Christian. I am taken on by God, taken in hand by God and thus, by saying “yes” to God’s action I become Christian. Becoming Christians, in a certain sense is passive; I do not make myself Christian but God makes me his man, God takes me in hand and puts my life in a new dimension. Likewise I do not make myself live but life is given to me; I am not born because I have made myself a human being, but I am born because I have been granted to be human. Therefore my Christian being has also been granted to me, it is in the passive for me, which becomes active in our, in my life. And this fact of being in the passive, of not making ourselves Christian but of being made Christian by God, already to some extent involves the mystery of the Cross: only by dying to my selfishness, by coming out of myself, can I be Christian. Wes and Alaina, Kolby and Courtney, it will be your duty from this day forward to show Beau how to die to his self-centeredness and daily conform his life to that of Christ. In this task, you will not be alone, for you have the Christian community to support and assist you in this sacred task as we each seek to live in accord with our baptismal dignity by dying to our own selfishness. Teach him to serve the Lord with humility by loving his neighbor. Teach him how to pray and converse with the Lord throughout the day. Teach him how to maintain communion with the Body of Christ, the Church. And teach him how to make an offering of his very life to God. If he does this, he will indeed be a Christian. You have a magnificent tool to teach Beau the Christian faith in your last name. 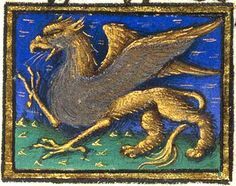 The medievals saw in the griffin, part lion and part eagle, a symbol of the two natures of Christ, human and divine. They also saw the griffin as a symbol of guardianship. Teach Beau, then, what it means that God became man and how Jesus guards us with his Cross. 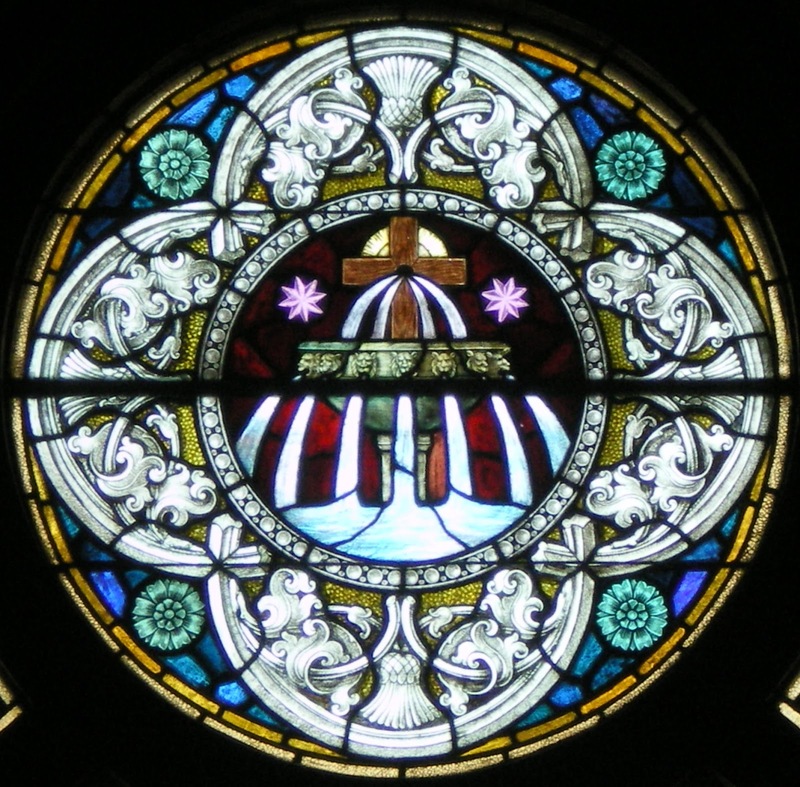 Teach him, also, to guard his own soul “from the poison of sin” and to “keep the flame of faith alive in his heart.” If you watch over him as griffins to guard him against whatever is opposed to the Gospel, you will show him the way to the house of the Father where he will see the Lord face to face (cf. Isaiah 56:7; Psalm 67:2). Amen. Catechism of the Catholic Church, 1289. Glossary of the Catechism of the Catholic Church, p. 871. Cf. Rite of Baptism for Children, 76. Catechism of the Catholic Church, 1250. Benedict XVI, Lectio Divina, 11 June 2012. Rite of Baptism for Children, 93 and 100.